After the accident Sarah moves to a new school. A new place where no one knows what happened to her or her brother, where she doesn't have to deal with the history that's pulling the rest of her family apart. Will is keeping his head down at home, just trying to get by. Then his sister Lauren comes back, as caustic as always but somehow changed. Will doesn't know what upheaval brought her home. But it's sparking some serious change in his life too. Eliat's got no mother of her own, and she's way too young to be one. Looking after a two year old, trying to finish school, sometimes all that keeps her sane is partying as hard and fast as she can. Now the pressure's building and Eliat just wants to get away. In this impressive and beautifully written debut, Kate Hendrick sets the butterfly effect in motion. 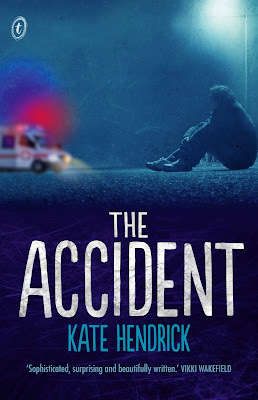 The moving stories of three teenagers going through crucial changes, before, after and around the accident, show how random actions acquire significance. How one pivotal moment could transform your life and you might never know; how what you do matters. There's before, after and during the accident which brings together the stories of three teens, all feeling secluded and detached. Sarah Starke is starting a new school, where no one knows her story and she is able to start again. Her domineering Italian mother believes she's made of glass and could beak at any point, so she chooses to take her frustration out on Sarah's step father Alan. Sarah has a strained relationship with her mother, not surprising considering what her family has been through. Will McAlpine lives with his mother and sister Morgan, although his mother never ventures far from her bedroom. After Will's father left, his mother threw herself into writing and often neglected her own children, rather leaving their basic needs to her eldest daughter. Now, Lauren is back home, having fled the family unit years earlier and life has never felt more strained. Eliat Singleton is a single mother to two year old Tash, while living with foster parents Rose Marie and Terry. Raising a child, attending high school, Eliat uses every opportunity to party, leaving her foster parents to raise Tash. The party scene is always the same, along with friend Izzy, Eliat is promiscuous, using each experience to to shut down and escape. Eliat has never known her family and is too young to be a mother, but makes it through each day because she has to, not because she wants to. If not for her foster parents, who knows where she would be. Both Will and Sarah both attend the same school but have never crossed paths, even as Sarah strikes up a friendship with Will's sister Morgan, both finding common ground being amateur photographers. More than anything, Sarah needs a friend, the anguish of losing her brother that night is still too much to bare. As she thinks of the accident that had taken Robbie's life, she lives with the reminder every day. Sarah's mother throws herself into work and her marriage is on the verge of collapse. She and husband Alan no longer communicate, with Alan at the end of his rope. The quiet man simply tolerating Sarah's mother's control and dominance. Will is dealing with the return of sister Lauren, who isn't the cruel sister she once was, she's broken and seems to share the same distance as their mother does. As Will's relationship develops with girl next door Kayla, Lauren shares the news that she has been in contact with their father, now working at a law firm in Sydney, married with a child. Will's family fell apart after he left, and Will has no desire to let him back into his life. He's trying to rally his family to support Morgan in her stage production, and seemingly no one but Will cares. Eliat is being pressured by her foster parents, in what seems to be under the guise that they want Tash for themselves. Her step mother believing that she only cares for herself and not the child she brought into the world. Eliat can't deny that she would rather spend her nights drinking and getting high, than change nappies, but the truth only pushes Eliat to attempt leaving and take Tash with her. Abandoning the only real family she's ever known, but Tash reaches out for Rose Marie instead of Eliat, showing she may have faced the ultimate defeat in her role as a young mother. As they all experience the accident in various points of view, their actions having led to that one point they will change each of their lives forever. 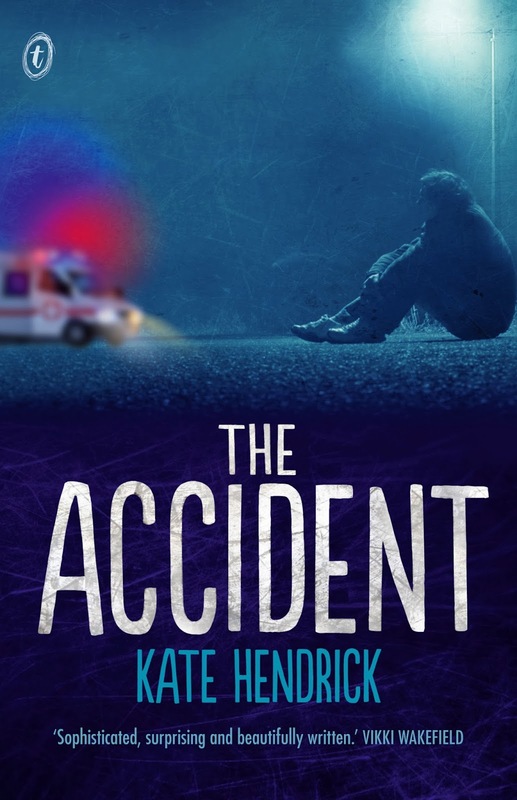 The Accident is a realistic view of the lives of the average teen and what the endure each day. Eliat is a teen mother, who takes the emotional and and financial support of her foster parents for granted. She's selfish and at first I didn't realise that she was a single mother, her free and easy lifestyle seemingly ruined by Tash. Yet she won't allow her foster parents to raise her, and resents Rose Marie for being a responsible guardian. Will is the quiet achiever, a lover of literature and has just begun seeing his neighbour Kayla in a new light, and Sarah, who's life changed dramatically after the accident, is learning to cope without her brother. Three teens from different worlds, all changed. It was beautifully written, raw and honest and the vast majority of young adult will be able to relate to the issues all three face. The storyline beautifully woven and connects the three main characters in one way or another and told from before, after and later, surrounding the accident. It felt confusing to begin with, as each chapter is told from a different point of view without stating which character it is. It's only as the story unfolds that you can recognise each one. Readers should make note of which character has the before, after and later points of view, as it will make for an easier read. Tash left me heartbroken and I found the little girl's plight devastating. Eliat's lifestyle is confronting and readers will more than likely be affected by her story more so than Will and Sarah combined. A clever debut about what life throws at us, but it's the choices we make that makes the difference. Fans of David Levithan's Love Is The Higher Law will love this. Sounds like an excellent book, I have this one for review too and it sounds like a great raw story with differing points of view. Great review Kelly!